I will continue, but I WILL return to quilt blogging soon. I thought you might enjoy seeing the herbs in my garden, that I will be planting in yours. 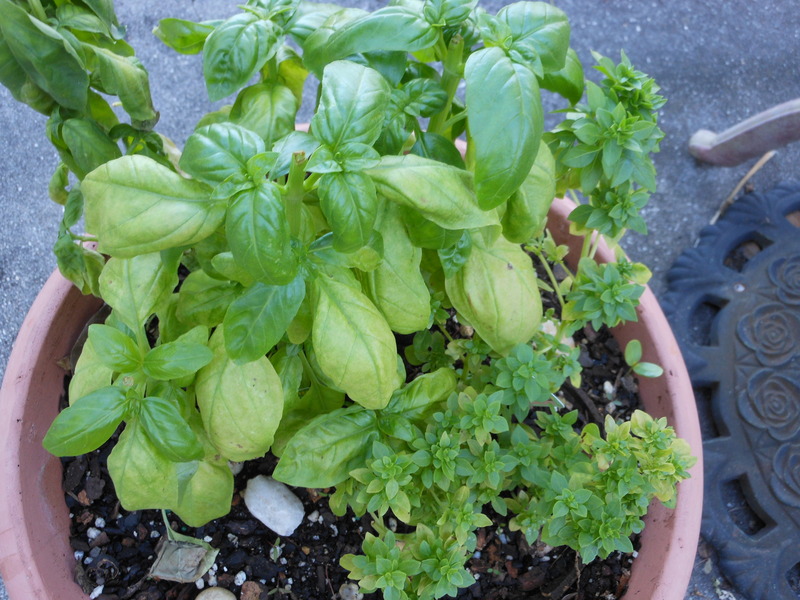 No herb garden can exist without basil. My favorite is the small spicy globe basil in the front of this pot. Salads taste thousands of times better with fresh basil. 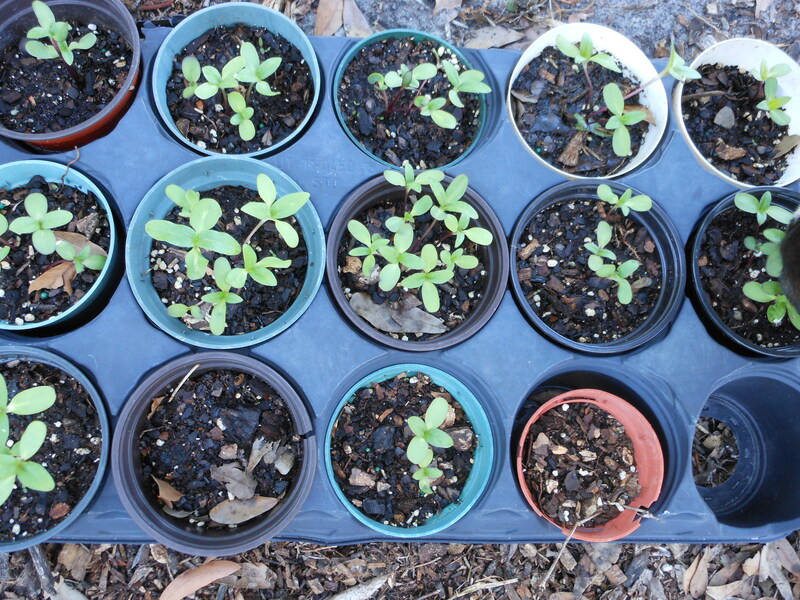 Mint is tough to grow in Florida. (So is cilantro, very disappointing.) 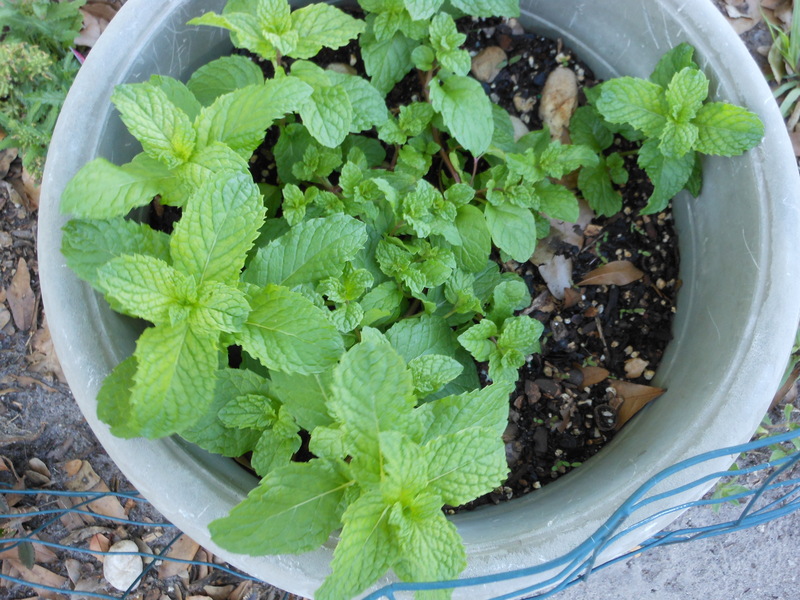 Do you remember the mint planted outside the back door in Barto? I had it in a square surrounded by the sidewalk to try to keep it contained. Continuing on the edible theme, this avocado freezes back every year. I love the shiny leaves. 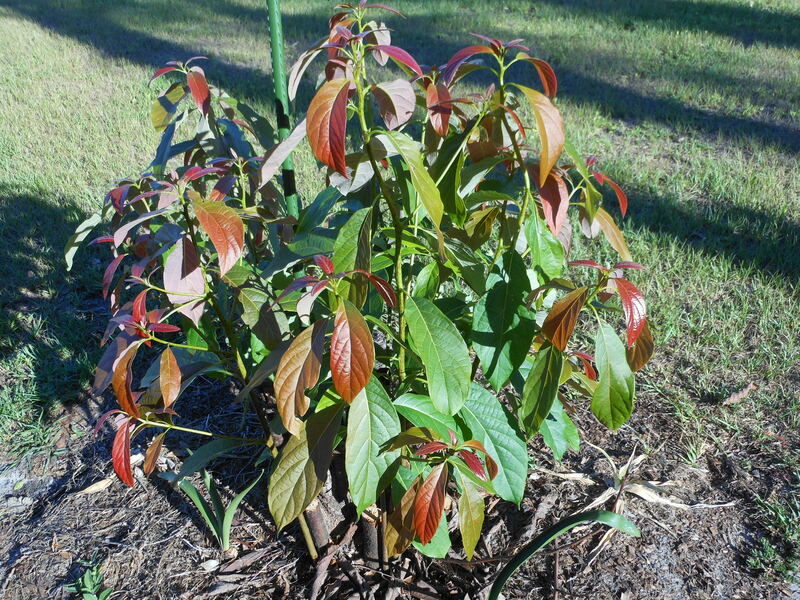 I also like the way the leaves start out red and turn green. 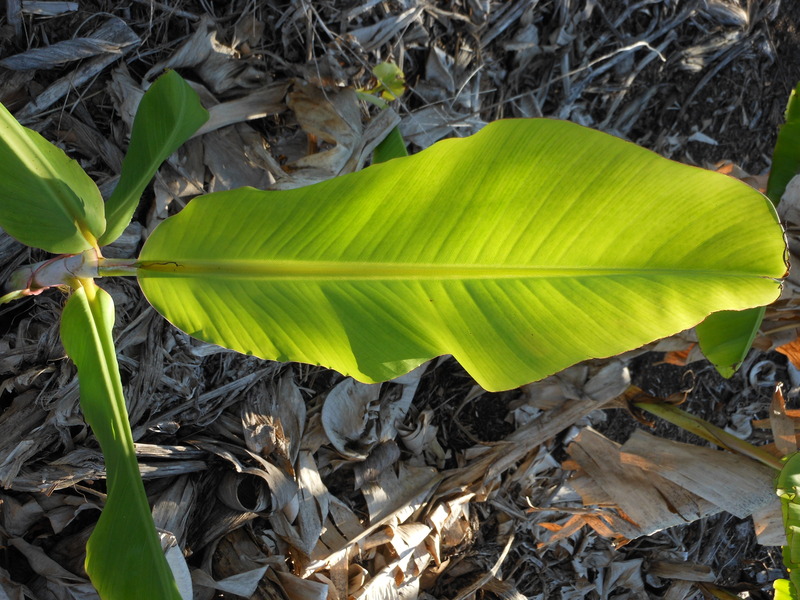 We haven’t had much luck harvesting bananas, but the big green leaves are gorgeous, aren’t they? Another herb I grow is lemongrass. The dogs LOVE to eat it. It is growing at the bottom left side of the bamboo. 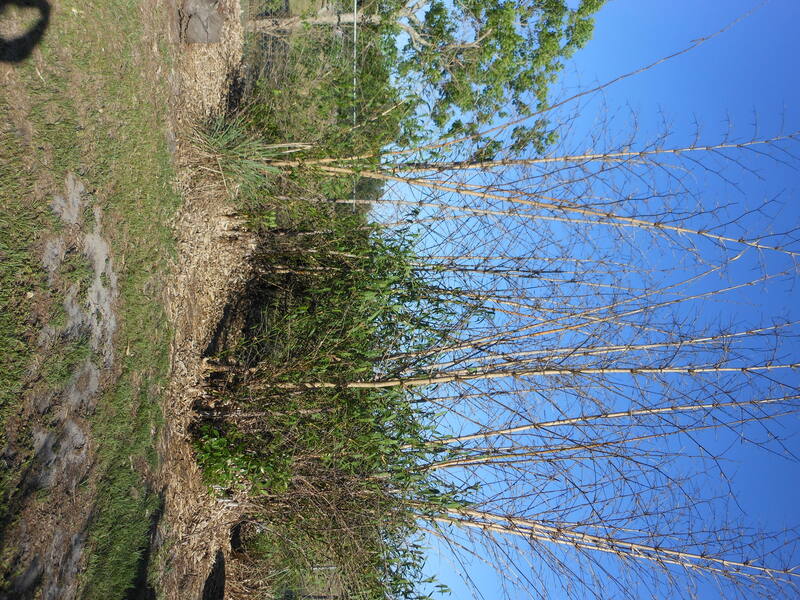 This demonstrates why I want to make sure we find the correct bamboo variety to stay green in your “yard.” Unfortunately ours dies back every year, and we can’t trim it until we know which sticks are still alive. 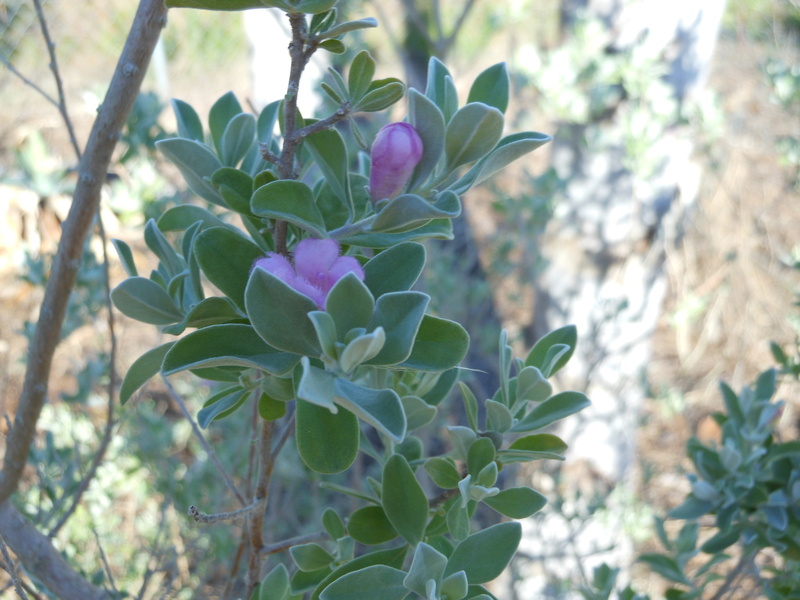 Although not edible, Texas sage has a herb in its name. This is one of my favorite garden color combinations-silver and pink. I’m now hungry after this garden tour. I’m going to go dine on strawberry shortcake, unfortunately it is probably the last of this season’s fresh berries. « Land of Dreams . . .